Home >> Positively Contributors >> Help! My Puppy is Deaf. What Now? Help! My Puppy is Deaf. What Now? So you’ve adopted the perfect puppy, the one with a smiling, squishable face, a tail that wags at the speed of light and that intoxicating puppy breath! You’ve stocked up on bowls, holistic food, a crate, bed, leash, collar and name tag. You’ve filled a box with toys of all sorts: stuffy, rubbery, squeaky and bouncy. You've even erected a huge wooden stork in the front yard, painted blue, announcing, “It’s a BOY!” . You and yours have settled on a name. Let’s say, for example, Bingo is his name-o. After a few days at home, Bingo is acclimating to your family and home. He is learning the rules of where to sleep, when to play and where to poop. Well, actually, at his age, he is probably learning where NOT to poop, but still, everything is going well. It feels like a dream. You've found your canine soul mate, you’re bonding quickly and his cuteness quotient is off the chart. However, after a few days of puppyhood bliss, you start to notice little things. Things that just seem off. Not right. Different. He doesn’t jump up excitedly, ready to play, when you wake up in the morning like most puppies do and when you call his name he doesn’t wake up. If you leave the room while he’s focused on licking peanut butter out of a Kong®, he freaks out once he realizes that you're not in the room, running helter skelter through the house, frantically trying to find you. If you come up behind him, whistling or calling his name, he doesn’t look up and he startles when you touch him. The thought creeps into your mind: What if he is deaf? The very idea of living with a deaf dog can be terrifying if you’ve never met a deaf dog and, to be honest, that includes the vast majority of the world's population. The first few weeks after we adopted Edison, the first of two deaf dogs to join our family, were intense, frightening and intriguing. The hours stretched into days as we exhaustively combed the internet for information about living with deaf dogs. We were looking for websites, blogs, books or articles that could tell us more about a life lived with a deaf dog. When we started our deaf dog adventure, Edison was a ten-week old Pitbull-Dogo Argentino mix and he weighed almost twenty pounds. We knew he was going to grow to be a big, deaf, bully breed dog so screwing this up was not an option and the pressure was definitely on. We learned a lot during those first weeks and months and have learned many more things in the three and a half years since. It was because of our early experiences learning about deaf dogs and trying to assuage our fears that I was motivated to start blogging about deaf dogs. There aren't a lot of people talking about deaf dogs and I wanted to join the conversation by sharing my voice, my thoughts and my experiences. 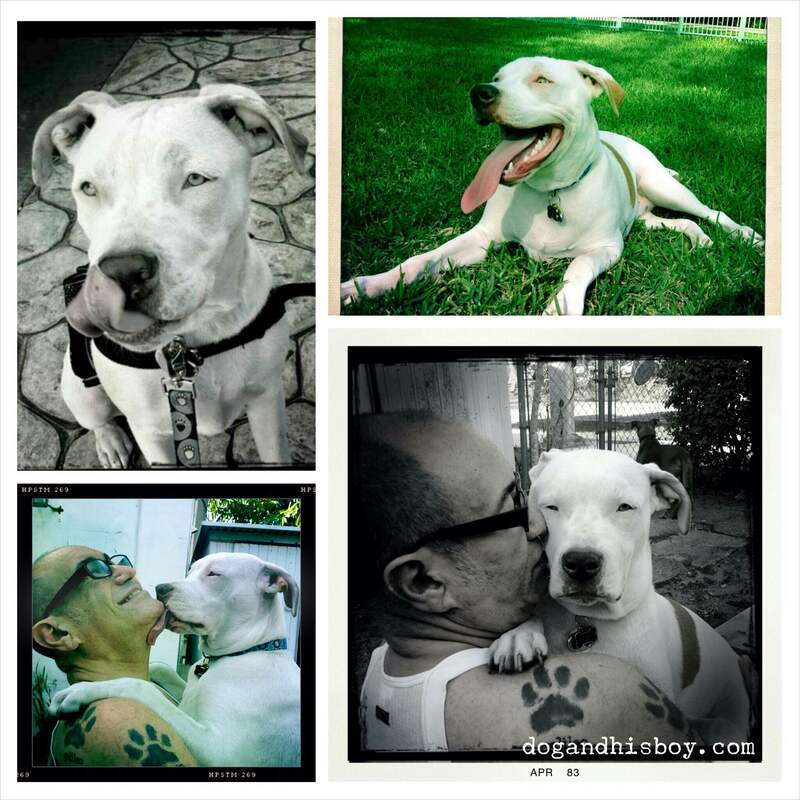 Edison is my most perfect muse, and he and his deaf pack mate, Foster, inspire me every day. I know that it feels overwhelming when you realize your dog is deaf, but I promise that you can train a deaf dog. You can learn how to communicate with him using your hands and you can learn some easy ways to keep him safe. You can become his ears when he needs a pair and you can be an advocate for him and every other deaf dog in the world. It's important to keep in mind that, although Bingo is deaf, he is so much more than that. In fact, I’ll share a bit of sage advice I learned from Deaf Dogs Rock. Above everything else, Bingo is a dog first and everything that means. Second, he is his breed and any breed-specific behaviors and needs will come into play and need to be considered. Third, he is deaf, which only means you have to use your hands and, to a certain extent, your body, to communicate with him. Once you flip this switch in your brain, communication is pretty easy and you'll be amazed at how much you can teach and how much Bingo can learn. Sure, there are a many more nuances that have to be factored in, but I find the dog-first, breed-second, deaf-third hierarchy is a helpful way to think about things initially. At the beginning of this Phantasmagorical Adventure into Deaf Dogland, spending a little time doing some research will be immensely helpful later on. Here are a few suggestions. Connect with Deaf Dogs Rock. DDR is a deaf dog not-for-profit based in Virginia. For my husband and me, DDR quickly became our deaf dog go-to guide. They have tons of resources available, including training articles (even a few by me), videos, advice, tips and just about anything else you will want or need. The community of deaf dog parents they have created is nothing short of life changing for people new to deaf dogs. You can also find additional resources on Dog & His Boy’s resource page. The first book I suggest you get is a sign language dictionary. In the United States, this would be an American Sign Language dictionary. Please remember that signed languages are not universal. If you live outside the U.S., please get a dictionary for the signed language used by the Deaf community in your country or region. 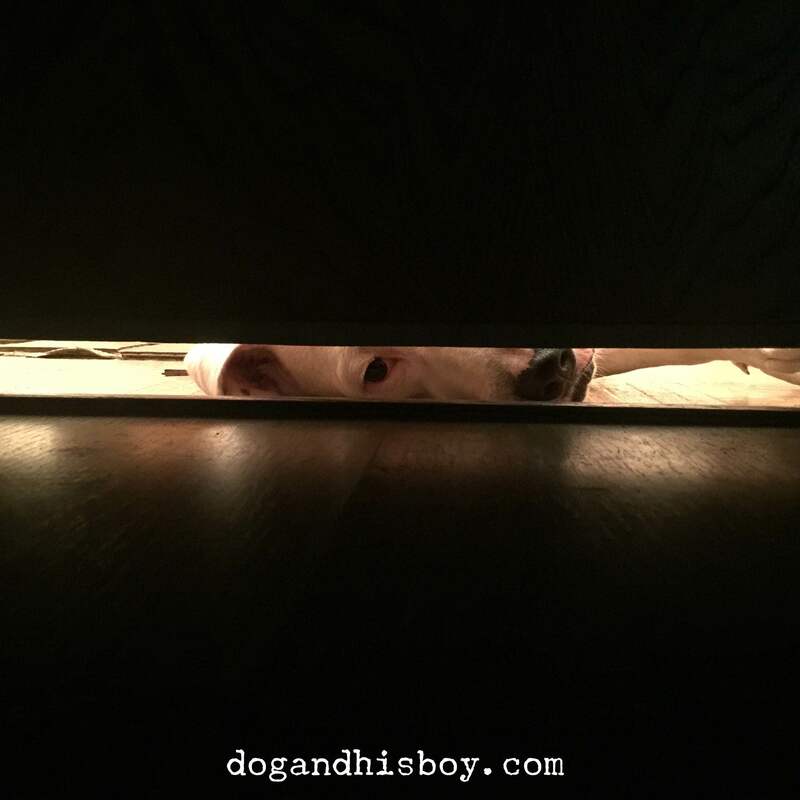 Teaching our deaf dog, Foster, a long-distance stay. Before Edison, I had trained many hearing dogs throughout my life. Once Edison moved in, however, I was flooded with fear and self-doubt. I knew that many of the techniques I had used before wouldn’t work or would need to be adjusted for a deaf puppy. I felt that by working with a dog trainer I could learn better ways to communicate with Edison and also receive some much-needed support. Remember, the only deaf dog I had ever met was the one sitting in my lap when I first reached out to a trainer. 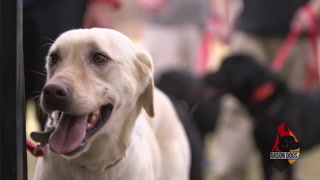 If you've never trained a dog, let alone a deaf one, I strongly suggest you connect with a professional, certified trainer in your area who only uses positive-reinforcement techniques. If you can find one experienced with deaf dogs, even better! 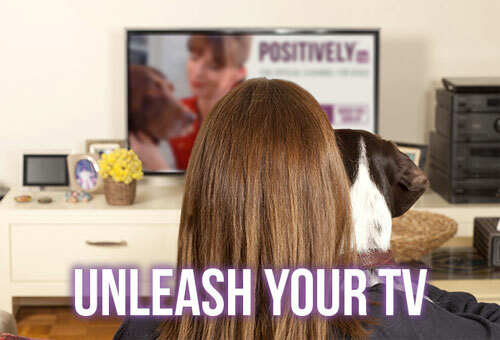 Look here to locate a Victoria Stilwell professional dog trainer in your area. Even if you have trained dogs before, it is definitely worth working with an experienced trainer for a few sessions to both refresh your memory and to get Bingo started on the right path. No matter if you are a novice or experienced dog trainer, investing in a short five-session package will pay off for many years to come. When we first adopted Edison, after we had done some initial research, we made a list of the most important signs we wanted him to know. It was a list of 20 commands, beginning with one of the most basic and foundation skills you should teach your deaf dog, "watch me". Our goal was to teach him these signs within two years. Ha! By the time he was six months old, he had mastered all of them and was begging for more. Edison is three and half years old and now knows more than 40 hand signs. Our list was personal to our family, and yours should be, too. 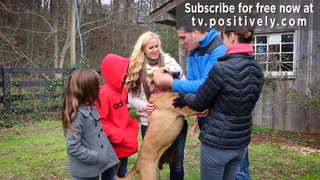 Each person and family has different needs, desires and expectations of their dogs. Make a list of the signs that are important to you, break it into smaller lists, prioritize them and begin with the foundation skills: watch me, sit, down, stay, come, directional training and I Love You- yes, there is a sign for that and deaf dogs totally know what it means. You then need to choose the actual signs you're going to use, learn them yourself and begin to teach them. Though I recommend using standardized signs, such as ASL, whenever possible, you can make up any signs you want. You can do jumping jacks as the sign for “come” but that’s very practical and people are definitely going to look at you funny. For us, we used our ASL dictionary and used standardized signs as much as possible. If a sign requires two hands, then either adjust it to one hand or make up a sign that works for you. When walking Bingo on a leash, you only have one hand free to communicate. Alternatively, in time, you can teach multiple signs for the same behavior, some two-handed and some one. Edison knows two signs for sit, three signs for come and three signs for "good boy", each one appropriate for different situations. It’s crucial to remember that if Bingo can’t see you, he can’t hear you! This may seem like an obvious statement but it’s important information that deaf dog pet parents need to remember. The first is the importance of teaching a “watch me” sign to Bingo. This should be one of the very first skills Bingo learns. By teaching him to constantly check in with you, you are always able to communicate with him, redirect him away from undesired behaviors to appropriate ones, keep him safe in the event of a dangerous situation and generally help him make better life choices. Second, you can’t get comfortable on the couch. 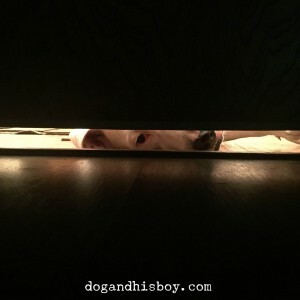 Life with a deaf dog, especially a curious puppy with a penchant for counter surfing, means you have to be more physically engaged with your dog. You don’t have the option to call him from across the room; rather, you have to get up and visually get his attention and then communicate with him. Long gone are the days of using your voice alone to give direction or praise good behavior. 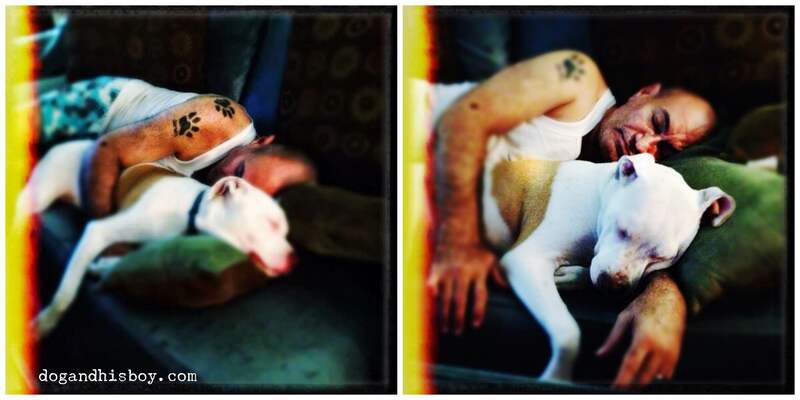 One of the most rewarding benefits of changing your behavior in this way is that you will find that you are creating a stronger bond with your deaf dog, one that is both intensely deep and meaningful. This advice really applies to all pet parents, whether their dog is deaf or not. In time, and in with practice, you will gain confidence and feel comfortable training your deaf puppy. My favorite moments are still those magical ones where I can see a light bulb going off in Edison or Foster's head, the one that announces that they finally understand what I’m saying with a new movement of my fingers or some weird new twist of my wrist. 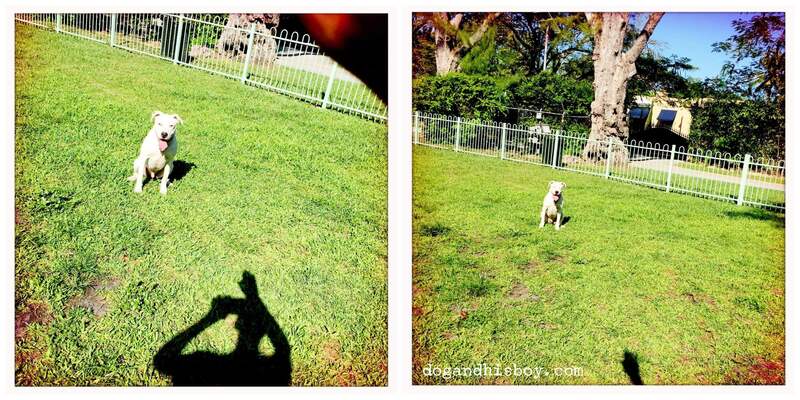 After you do some research, connect with other deaf dog pet parents and as Bingo begins to learn a few hand signs- hand signs that YOU taught him!- you will find that your deaf dog is a gift from the heavens. You are on a special journey with a magical dog. 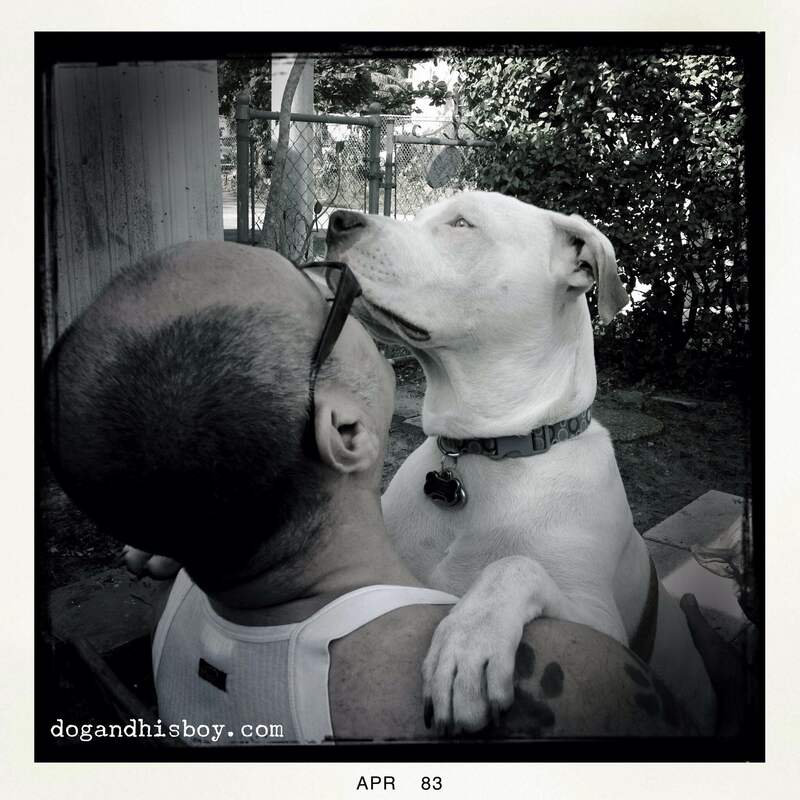 As weeks turn into months then years, the bond between you and your deaf dog organically grows stronger, communication becomes subtle, almost intuitive and, in many ways, it feels like you are reading each other’s mind. When that day comes, give Bingo as especially big hug and thank him for being perfect just the way he is. Soon, I’ll be talking about deaf dog safety, avoiding startle responses and why socialization of a deaf puppy is especially important. Stay tuned! In the mean, check out this recent blog post that explains why you SHOULD TALK to your deaf dog, not just sign to him! Bernard Lima-Chavez is a deaf dog pet parent, blogger, trainer and advocate who writes and works for deaf dogs, to raise awareness about their existence, needs and capabilities and to help them live rich, full, happy lives.